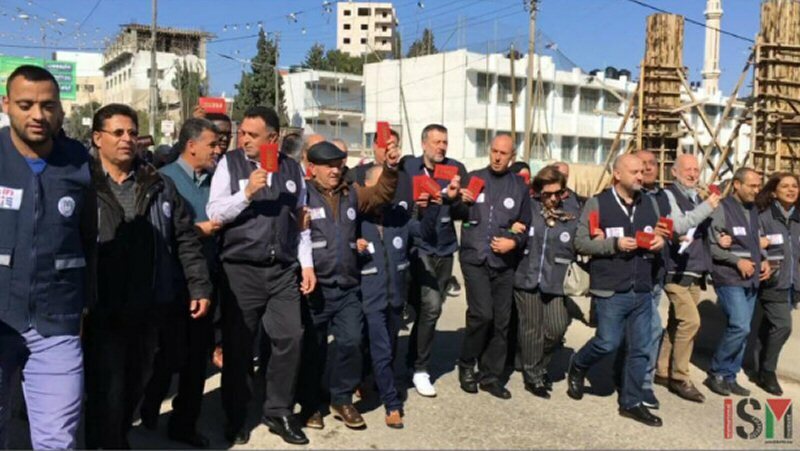 The International Federation of Journalists (IFJ) decided to hold its annual meeting in Palestine this year, where they demonstrated at the infamous Qalandia checkpoint, on Saturday. Dozens of journalists, holding only international press cards, were immediately met with canisters of tear gas. Lack of freedom of movement is a common experience for Palestinians in the West Bank, most of whom are unable to leave. The few who leave the West Bank for work face the physical torment of waiting in line for hours, crammed together in zig-zagged cages, and facing the high probability of Israeli aggression. 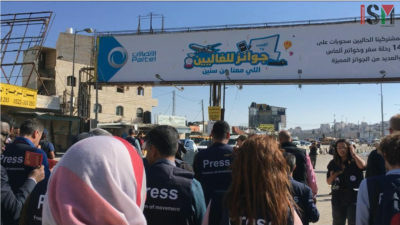 Qalandia checkpoint is the subject of much reported abuse, though none of this would be known if it wasn’t for the Palestinian press. But their reporting has come with a price: It has created huge controversy and caused them to suffer incredible abuse. Today’s demonstration was no exception.